coming down home. If I should get a flight to St. Louis, Memphis or Dayton I'd come home first. I'll probably surprise you as I did last time. 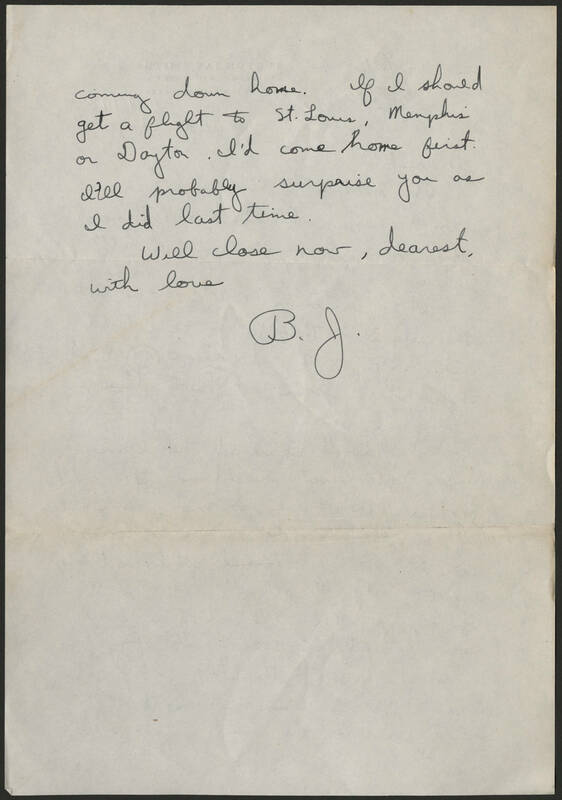 Will close now, dearest, with love B.J.